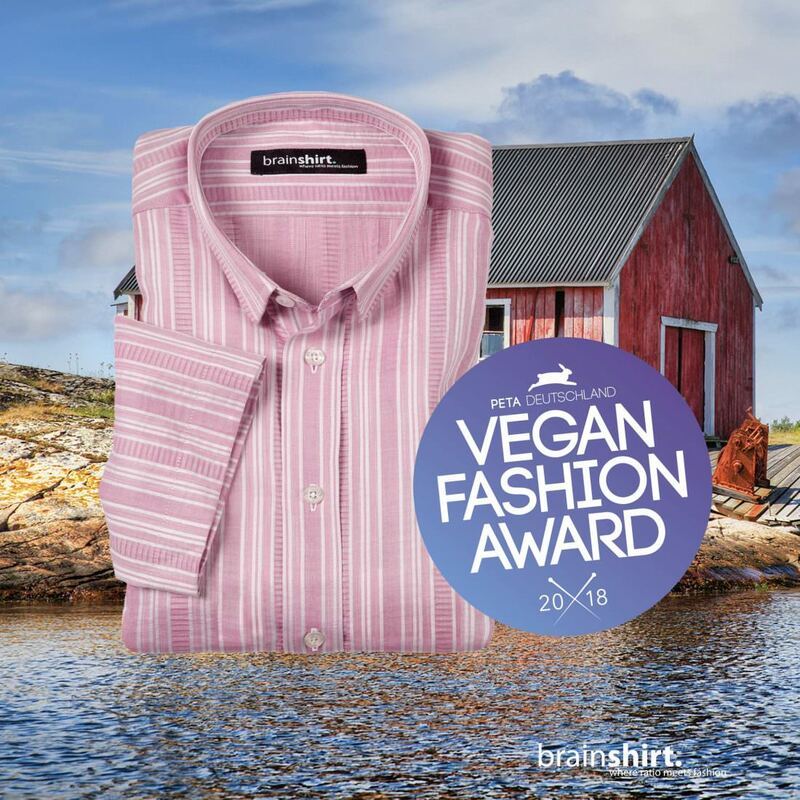 brainshirt received the PETA Vegan Fashion Award for the third time this week. We are very happy about this, as this award underlines our efforts for an ethically fair textile production. In the meantime, brainshirt is proud to announce that more than 99 percent of our products completely dispense with fabrics, components and ingredients of animal origin. Together with our partners, we have succeeded in developing materials that have completely replaced classic animal ingredients – the best examples of this are the Moleskin coat and Moleskin winter trousers. This year’s prize as “best piece for men” went to our light summer shirt Sörlandet, of course vegan, and of course in 100% organic cotton quality. A special feature of this shirt is the seersucker fabric used for the first time in our collection. Seersucker – derived from the Persian shir o shekar, milk and sugar, called Kringel – is a special weaving process, which is characterized by a three-dimensional, slightly creased surface. This shirred character of weaving is achieved by varying the tension of the warp threads during the weaving process. We are currently using Seersucker in our summer collection for the Sörländet shirts, in the colours blue and lilac. About the Peta Vegan Fashion Award**: Vegan clothing and accessories have long since found their way into the fashion world. Fashion fans today increasingly pay attention to which materials their clothing is made of and how animal-friendly, sustainable and fair the manufacturing process is. There are more and more purely vegan fashion labels, and even well-known brands have recognised that animal-free fashion is trend-setting. This is particularly important in order to make fashion socially acceptable without animal components. Leather, fur, down, wool and all other animal materials are no longer contemporary! With the Vegan Fashion Award, PETA honours fashionable, innovative and animal-free fashion. This year, the animal rights organisation is once again awarding prizes to vegan newcomers and labels that have firmly included animal-free products in their collections.